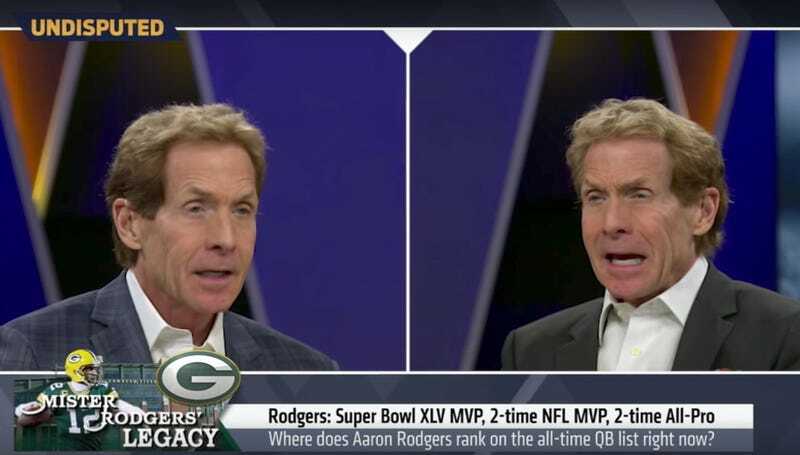 Second Take host Skip Bayless is perhaps the most unshakeable sports yeller out there, and he’s certainly the clear debate champion among FS1's band of squawking misfits. The future of FS1 is fewer Ken Rosenthal gems and more cantankerous opinion-havers yelling at each other for some reason, and Bayless is the purest distillation of this ethos. The content of the takes doesn’t matter, just the heat. If FS1 management could have him simply debate himself, they would, and thanks to this very slickly edited video produced by Will Schleichert, you can finally see what that dystopian scenario would look like.